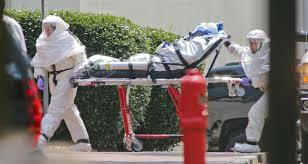 Have you already started thinking about what to do about the threat of an Ebola outbreak in the workplace? 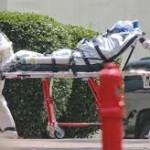 While the risks of an outbreak in Australia are very low it is a smart move to be prepared. In August 2014 the World health Organisation (WHO) declared the 2014 Ebola virus disease (EVD) Outbreak in West Africa to be a Public Health Emergency of International Concern. As a result recommendations were implemented to control the outbreak including travel restrictions in neighbouring countries, particularly Côte d’Ivoire, Senegal, Mali and Guinea-Bissau. The border recommendations for the rest of the world are consistent with current Australian border protection measures. The WHO announcement does not change the Ebola risk in the workplaces of Australia, which remains very low. Since March 2014, a serious outbreak of EVD formerly called ebola haemorrhagic fever, has continued and transmission has been confirmed in Guinea, Liberia, Senegal and Nigeria with a separate outbreak also occurring in the Democratic Republic of Congo. This is the most serious outbreak of EVD on record so far claiming over 3000 lives. EVD is a rare disease that causes severe symptoms and can be life-threatening. Humans may contract the virus from infected animals (such as monkeys, bats and pigs). The virus can spread from person to person through direct contact with bodily fluids, including blood and waste products as well as indirect contact with environments contaminated with such fluid, including health care settings and burial ceremonies in West Africa. Importantly ebola virus is not spread through casual contact or through the air. There is no known vaccine or cure for EVD. The Australian Government have stringent controls in place to deal with any threat and our border control is robust. In addition the routine procedures for screening passengers on incoming flights have been strengthened with an increased awareness of the symptoms of EVD presented through different messaging modes on arrival at international airports. The World Health Organisation has put together a briefing note for workers and employees in dealing with Ebola in the workplace.